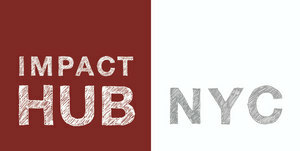 NEW YORK, NY--(Marketwired - Oct 21, 2015) - Impact Hub NYC, a coworking and events space for social innovation in Tribeca, has announced the launch of "Impact Bazaar." Presented by Squarespace, and more than 40 organizations supporting entrepreneurship and innovation, Impact Bazaar is a 5,000 square foot marketplace where innovators and entrepreneurs can access and offer premium resources to accelerate their ideas, businesses, and impact; one campus bringing together the leading organizations supporting the impact innovation ecosystem. "The sea of resources available to innovators today can be hard to navigate; understanding how to start a social impact business adds another layer of complexity." Says Sam Utne, Managing Director of Impact Hub NYC. "The tools exist to build almost anything you can imagine but Impact Bazaar provides guidance and mentorship that most people don't have access to. Our goal is to create an ecosystem for innovators to launch and grow their ideas. We've partnered with great organizations who support entrepreneurs through the lens of social impact, so companies can learn how to build businesses sustainably." Open Oct. 21, 2015, through the end of year, Impact Bazaar takes place on the 5th Floor of Impact Hub NYC. Located in 5,000 square feet of primely located loft space in Tribeca, Impact Bazaar will serve as a multi-functional platform for entrepreneurial capacity-building and social impact field-building in New York City. The goal is to provide critical access to knowledge, resources, community and opportunity for all who are working in social impact and building solutions to address our world's greatest social and environmental challenges. Visitors will have access to a daily lineup of programs, including: Classes and Workshops; Office-hours with World-class Mentors & Industry Experts; Lunchtime Lectures; Resource and Idea Exchanges; A Media Center; A Maker Lab; A Pop-up Showcase; Coworking Space; Events Space; Yoga, Meditation, & Mindfulness. Impact Bazaar is proudly supported by a growing list of leading organizations working to support innovators & entrepreneurs: Squarespace (Presenting Sponsor), NYC Mayor's Office of Tech + Innovation, Thomson Reuters Foundation, Etsy.org, Bard MBA in Sustainability, B Corporation, Impact Assets, Echoing Green, New York's Next Top Makers, ReWork, The Makery, miLES, Dreamit, SOCAP15, free range, Imagination in Space, The New York Code + Design Academy, Be Social Change, Net Impact, Fenton, Kiva, Prime Produce, Second Muse, Super Tasker, think olio, Exemplar, and Happy Fun Corp, among others. Impact Bazaar will be open to the public for $10/day, Monday-Friday, 9-6pm. Community partners will access courtesy tickets. Evening event programming will follow each day for which access varies.